Comes in: Small, medium, large. 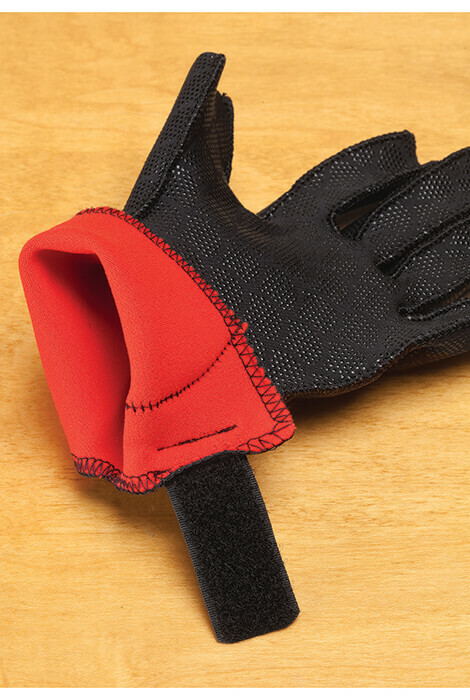 Surround aching hands with clinically proven heat therapy. 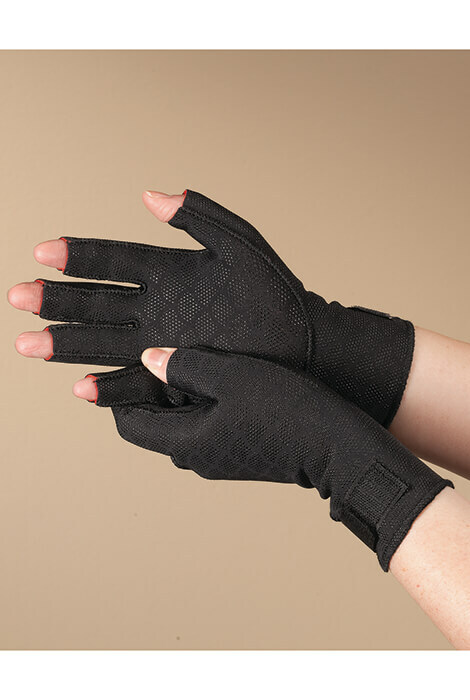 Arthritis-soothing gloves help retain body heat to temporarily relieve pain and stiff joints, with light compression to promote circulation and alleviate swelling. 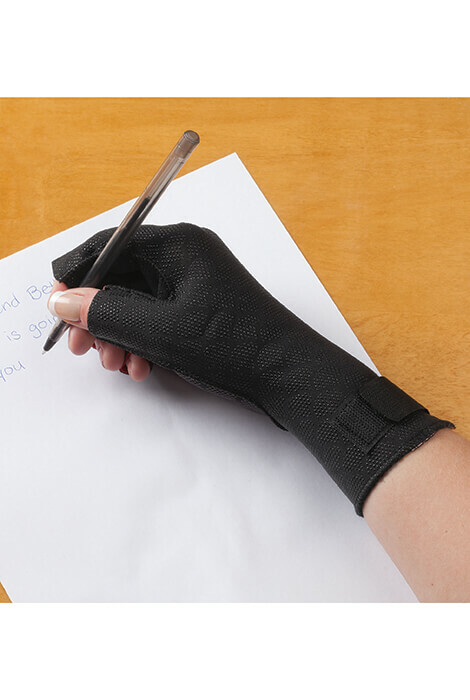 With a half-finger design for freedom of movement, breathable lining, adjustable wrist strap and non-irritating exterior seams, you can count on all-day comfort and support. Small, medium, large. Nylon shell with Trioxon® lining. Temporarily relieves pain and stiff joints. Light compression promotes circulation and alleviates swelling. Half-finger design for freedom of movement.